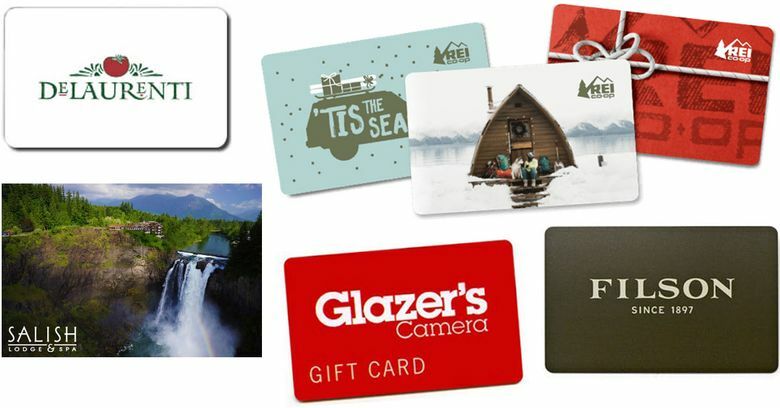 There's still time to grab a gift card, and they're super-popular. But there are some things to keep in mind. Year after year, we return to the holiday season and ponder what special gifts would bring joy to friends and loved ones. And, once again, most Americans somehow arrive at the same answer: a plastic card. Or, increasingly, a digital equivalent of one. Gift cards are pretty much the easiest, fastest gift to give on the face of the Earth. You can easily still get one tonight to give tomorrow. They refuse to give way to the next hot trend in Christmas gift ideas. Yeti cups, Kindles and Hatchimals will come and go, but gift cards are now in their 11th consecutive year as the most popular item on wish lists, according to the National Retail Federation. Seventy percent of women want gift cards this year. So do 52 percent of men, a recent NRF survey shows. So I went hunting for the secrets behind how gift cards work. Also, I just wanted to understand how outsourcing our shopping duties to gift recipients is now not only accepted — it’s often preferred. Here’s one surprise: Retailers really want us to use the gift cards they got paid for. They don’t want us to forget them in a kitchen drawer for a few years. At least that’s what I was told by Scott Meyerhoff, the chief operating officer for InComm, an Atlanta-based company that is a big service provider in the gift card industry. “If you don’t spend the money, they are actually disappointed. Because when you do [use the cards] you are going to spend more than you expect,” Meyerhoff says. When people use gift cards, they dip into their own pockets by an average of $38 beyond what’s on the card, according to First Data, a payments processing company. Which means the gift of gift cards actually is costing recipients. Still, some money put into gift cards won’t ever be spent. Home Depot recognized $34 million last year alone in gift card balances it believes are likely to go forever unused. There’s another payoff for retailers: Nearly half of consumers go to a store they wouldn’t have visited otherwise because of gift cards, according to First Data. These aren’t gifts you have to put a lot of thought into. They are easy and fast. They seem like risk-free giving and receiving. And often they come with discounts from hungry merchants. But they also act like no-interest loans to retailers, who keep the money until we get around to spending it. Because some retailers are facing serious financial struggles, it’s not wise to linger long before using cards for those stores. Otherwise, it might not be fully redeemable if the retailer goes out of business, which is one reason consumer advocate Clark Howard isn’t a fan of buying gift cards. Confession: I’ve given some mass-market gift cards — and it wasn’t very satisfying for me as the giver. We hand some family members last-minute gift cards, and they hand us their version. Which raises the question: Couldn’t we skip the gift cards, call things even-Steven and just enjoy hanging out together? The problem is, we’d still miss the joy of giving. Which leads me to my new goal: If I ever give gift cards again, I intend to only give those that require extra thought and connection. Because otherwise, what’s the point?